Undertaking the task of promoting International law by taking legal studies beyond textual knowledge, the Students for the Promotion of International Law (SPIL), Mumbai is organizing the 7th Government Law College International Law Summit at Government Law College Mumbai. The Summit is scheduled to take place from 29th January-31stJanuary, 2016. The Summit, aside from the key note addresses, lectures, workshops and call for papers, comprises of two novel competitions, namely the Judgment Deliberation Competition and the Treaty Appreciation Competition. 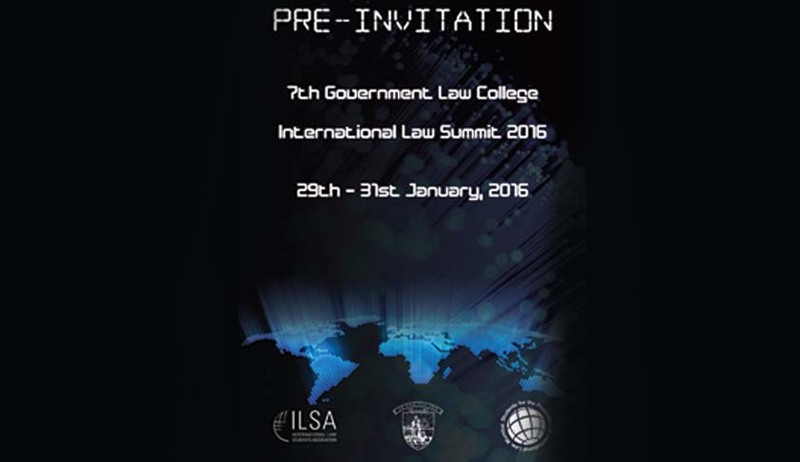 The Theme for the 2016 edition of the Summit is ‘International Telecommunication Laws’. The Summit will stimulate the minds of attendees through thought provoking interactions with experts and doyens of the legal fraternity. Kindly download the brochure for detailed information here.